Gutti Vankaya Kura or Stuffed Brinjal/Eggplant Curry is an authentic Andhra dish where baby brinjals are stuffed with a flavorful coconut and spice mix. There are quite a few variations with regard to the stuffing used. My version is a very simple one which does not require too many ingredients, but still packs quite a flavorful punch! 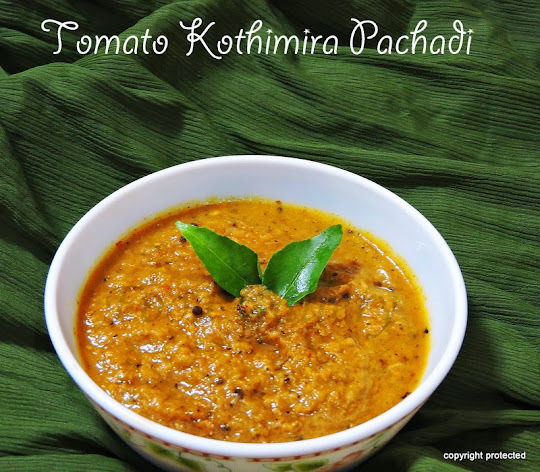 This is a dry curry and goes very well with plain hot rice and ghee. Are you searching for more Brinjal recipes, do check out these -- Begun Bhaja/Aubergine Fry, Vankaya Pachadi/Brinjal Chutney, Aloo Baingan Sabzi, Beguni/Aubergine Fritters, Vankaya Pulla Kura/Tangy Eggplant Curry. Thick Tamarind extract - 1 tbl spn. Select tender even sized brinjals and remove the stem. Cut each brinjal into 4 halfway through from bottom so that brinjal remains whole. Keep them immersed in water. Cut onion into fine square pieces. Grind coconut, garlic, salt and sambhar powder together into a paste. Mix this paste with tamarind water and keep side. Heat oil in a kadai and add mustard seeds and bengal gram dhal and fry till the dhal turns light brownish and remove from fire. Add this to the ground paste along with the onions. Mix it well and stuff this into the brinjals. 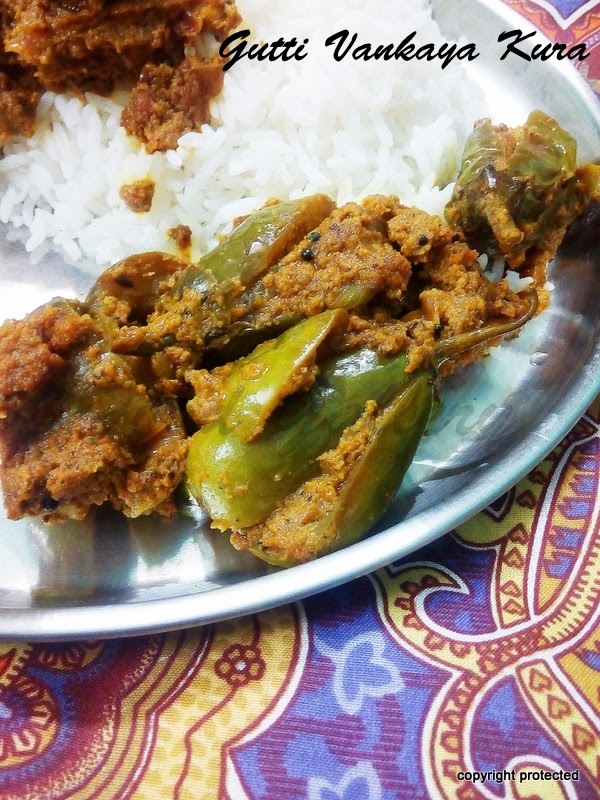 Heat oil in kadai (at least 2 tbl spoons) and arrange brinjals in it in such a way that the stuffed portion faces upwards. If there is any masala remaining, add it on top of the brinjals. Add about half cup of water and close with a lid. Keep the flame reduced so that the masala doesn't stick to the bottom. Keep stirring in between and check if the brinjals have become soft and the water is absorbed completely as this is a dry curry. Remove from fire and serve. This is one of Andhra's special dishes and it is taken with plain hot rice with ghee. 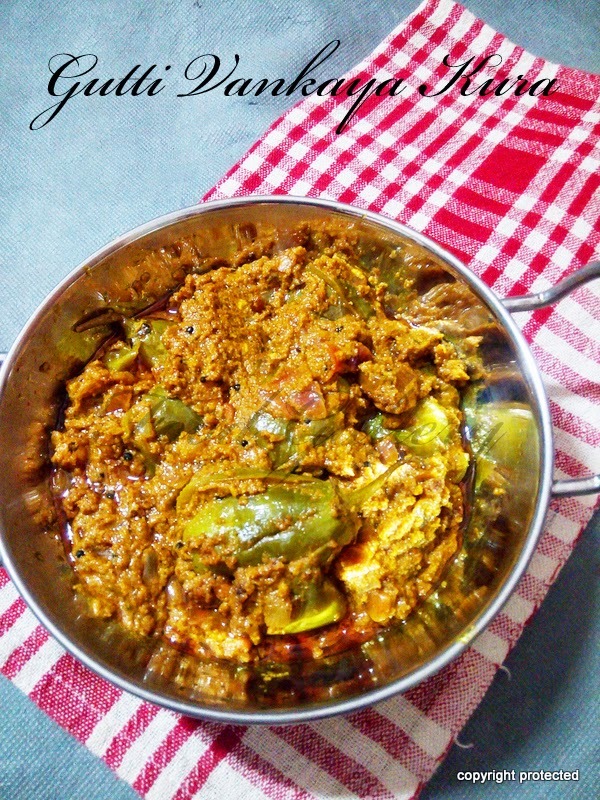 Yummy stuffed Brinjal Curry. it really Delicious looking and that taste was very Delightful and want to make it again. Thank you for sharing it.